The first department CBA members and students at Kelley often experience is Academic Development. 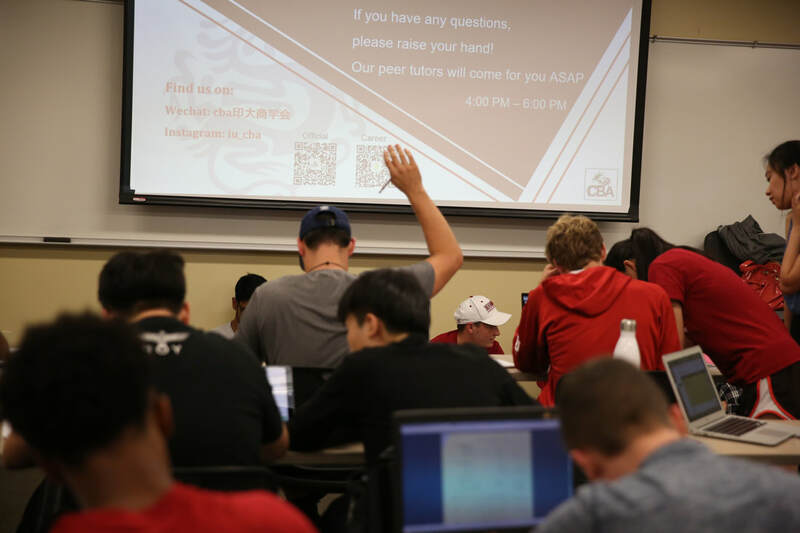 We are the largest tutoring event for Accounting A100 on campus, and we hold many other help and preparation sessions for our freshmen and sophomores, including Business Presentations C104/C106 and Accounting 201.
Who better to run CBA's top-notch accounting help sessions than an accounting major? ​Zhen is an Accounting and Information Systems double major, and is very active in her CBA and Kelley community. She has a passion for accounting, specifically auditing, which led her to intern at Ernst and Young in Beijing this summer. She is also very active in our philanthropical VITA tax preparation service, allowing her to give back to the larger Bloomington and Monroe County community. Despite Zhen's lofty career goals, her most immediate goal is to try every restaurant in Bloomington before graduating, so she has her work cut out for her!